Hawthorn Woods, IL – November 3,, 2017 – After over 30 years of success and growth, Mary and Lisa Goldman of Red Coat Farm in Hawthorn Woods, Illinois, are pleased to announce a new restructuring of their business to offer customers superior service, training and attention in their expanding business. The business segmentation breaks up the riding school program and the national show team to enable each division to focus more attention on customer needs. While the Goldman’s will still oversee all of Red Coat Farm, they will concentrate on their new division, Gold Run Show Jumpers. This section is comprised of the premiere show team and the grand prix horses. Lisa, 27, turned professional after graduating from Baylor University and has taken the grand prix ring by storm, earning over $1.7 million in prize money and adding 7 grand prix wins to her resume in 2017. She is engaged to Darren Smolen and they are planning a May wedding – of course – at the new Balmoral Park horse show facility in Crete. Sari Reid, 32, began riding at Red Coat Farm when she was 9 years old, first showing on the NIHJA circuit then quickly progressing through the levels to begin teaching at age 17. 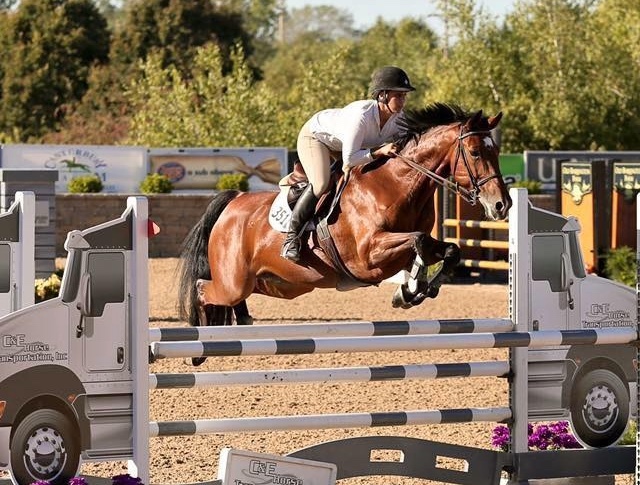 She takes pride in her continuing education as both a rider and trainer being among the first trainers in the country to complete the United States Hunter Jumper Association (USHJA) Trainer Certification Program. Reid has proudly trained medal finalists and year-end division winners on the NIHJA circuit. She has always served as a diligent assistant to the Goldmans and has worked with both hunters and jumpers of all levels. Her success earned her the title of NIHJA horse person of the year 2010. The Goldman’s would like to congratulate trainer Val Buesching of Round Lake, Illinois, on the purchase of the Red Coat Riding Academy. The program offers a private barn and arena along with about 17 lesson and lease horses to provide riding lessons seven days a week. The program also offers schooling shows to students, horsemanship camps, birthday parties and Girl Scout programs. “After 22 years of being a part of the Red Coat Family, I’m ecstatic to have the opportunity to run this program and to be able to focus on the needs of the beginning rider and horse enthusiast,” said Buesching. 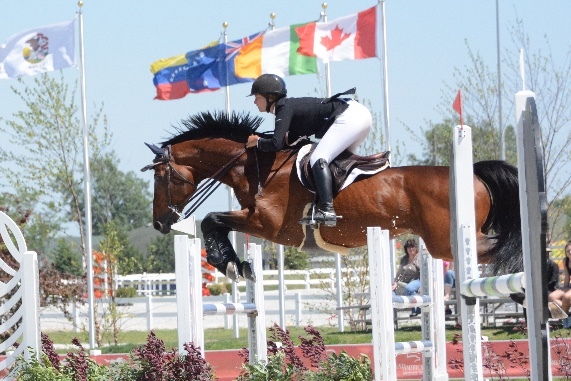 Buesching, now 35 and married with two children, began riding at Red Coat Farm when she was 11 years old and jumped right in to her competitive career on the Northern Illinois Hunter Jumper Association (NIHJ) circuit. Following her passion for horses, she attended the University of Kentucky and earned a Bachelor’s degree in equine science. While in college, Val competed on the intercollegiate level. Val’s education provided her with a firm basis of knowledge about equine nutrition, wound care, and training that she applies to her job daily. Upon her graduation, Val returned home to Red Coat and began teaching lessons. Since then, she has revealed her talent for starting young children on the path to success. Buesching has bestowed solid basics upon all her students while never losing a sense of fun. She has trained numerous champions on the NIHJA circuit including medal finalists and division champions. Her efforts in and out of the saddle earned her the NIHJA Horseperson of the Year Award in 2009. In addition to the new business organization, Red Coat Farm would like to congratulate the following riders on their new horse purchases this year! The Boshold family on the purchase of Rodrigo’s Bianca (Maya) – perfect for any ring. Sumiko Fujihara purchased River Roc 10 – a lovely hunter. Emma Gutstein purchased Jupiter while her sister Rebecca now owns Really Truly. Anna Lindburg purchased Roc My Wings. Morgan Fitzpatrick on her lease of Loralinde for the low jumpers. Kate Cornell on her lease on Just For Fun. Addie Rhohrbach on the purchase of Valladam. Elese Kirby and her new jumper Centormani. Niki Martin on the purchase of Hit Me Van’t Zorgvliet. Susie Jacosbon on the purchase of Eastpoint JB. Lisa Goldman on the purchase of Balavan. Welcome to the Foster Family and their 6 horses. Congratulations to Kyle Perkovich, Hannah Bilton and Addie Rhorbach on the success in your first prix this year. Stephanie Show on the purchase of Diego VD Enepoel. Congratulations to Stefanie Shaw and Diego VD Endepoel – who placed third in the Individual Children's Jumper Championships and was on the Gold Medal team. Congratulations to Jennifer Cardelli and Virantos who won the Individual Gold Medal in the Adult Jumper Championships and her daughter Madelyn with Khaleesi was on the Gold Medal Children’s team. “We look forward to an amazing 2018," said Lisa Goldman. "With new horses and new organization, we are ready to hit it out of the ballpark!" 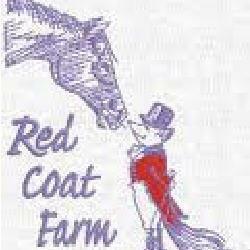 For more information on Red Coat Farm or Gold Run Show Jumpers visit the website at www.redcoatfarm.com. Red Coat Farm is conveniently located on Gilmer Road west of Route 83 and east of Midlothian Road, in Hawthorn Woods, IL. We have two indoor arenas (65' x 155' and 75' x 200'), a large outdoor arena (100' x 300'), fifteen turn-out paddocks and pastures, two heated viewing rooms with amenities, a heated main boarding barn containing sixty-six stalls, and heated shower stalls. 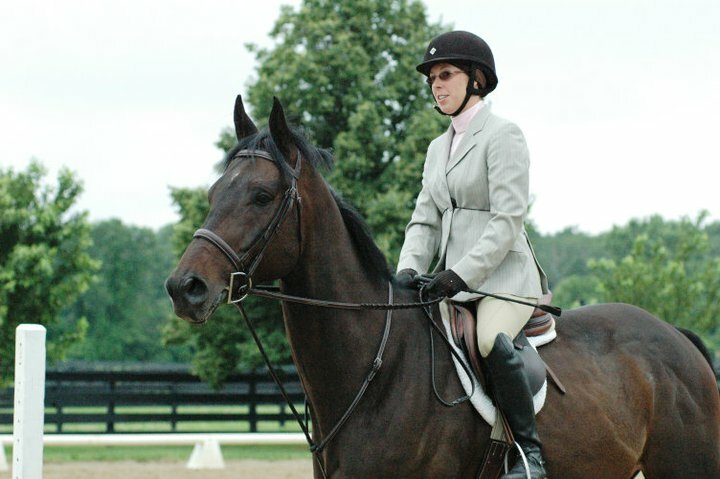 Red Coat Farm hosts several on-site shows, both schooling and Northern Illinois Hunter JumperAssociation (N.I.H.J.A.) annually. In addition, we provide educational and entertainment opportunities for large groups. In our over thirty years of business, we have acquired a loyal and supportive family of boarders who greet newcomers with enthusiasm. We look forward to the opportunity to show you around and discuss your personal needs.